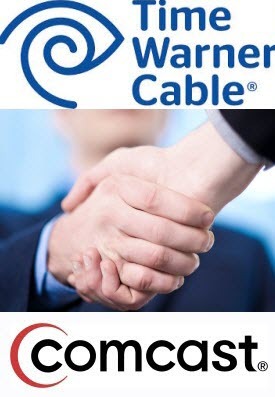 Comcast recently filed its public interest statement with the Federal Communications Commission (FCC) explaining how the American public will benefit from its $45 billion planned merger with Time Warner Cable. Comcast claims the merger is necessary because it can’t compete with the likes of Google, Apple, Verizon and Netflix–companies with a national footprint. On the flipside, over 50 public interest groups, including MoveOn.org and Daily Kos, have signed a petition stating that a merger would give Comcast unprecedented power to raise broadband rates for a significant portion of the country and gatekeeper power over too much commercial and private activity. In an ominously ironic statement, Comcast Executive Vice President, David L. Cohen said, “Sometimes big is necessary and good.” Visit Forbes.com for the full story.